Southern Dalmatia is the smallest, narrowest and least populated part of the Croatian coast. 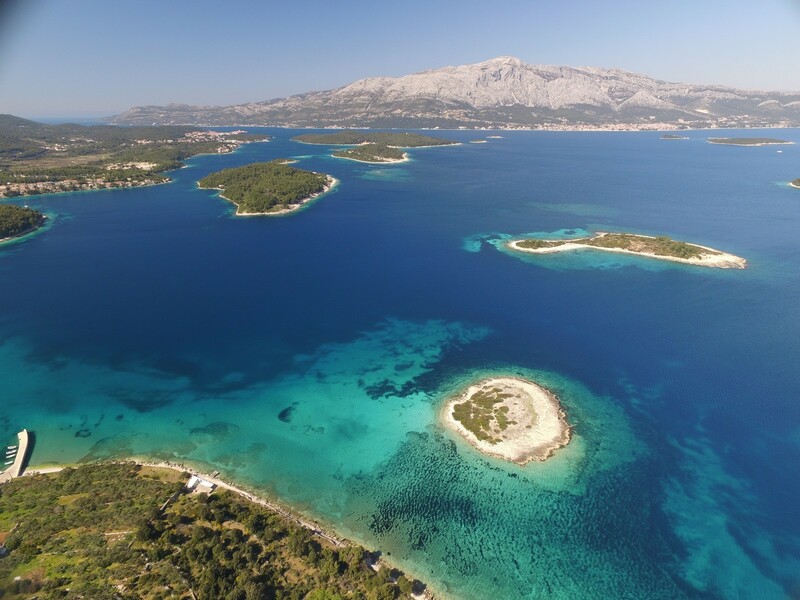 It includes a relatively narrow coastline strip near the Neretva River, ending at the national boarder with Bosnia and Herzegovina, the Peljesac Peninsula, the islands of Korcula, Lastovo and Mljet as well as the Elaphite Islands with three smaller populated islands: Sipan, Lopud and Kolocep. The area does not have a proper hinterland in Croatia, for the land lying behind the coastline is in Bosnia and Herzegovina and has its access to the sea at the city of Neum. The Croatian coast then ends at the national border with Montenegro at the Bay of Boka Kotorska. Except for the island of Korcula, this was the historical area of the once independent aristocratic "Republic of Dubrovnik" (1358-1808). Until late 19th century, the Neretva River's mouth - on the area's north-western part - was a wide flooding delta. 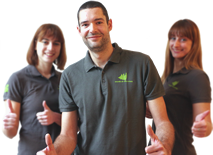 Following the amelioration works concluded after World War II. the region has been transformed into the most fertile agricultural area between Central and Southern Dalmatia. Navigators should pay particular attention to sand deposits in front of the river's mouth. From the ancient town of Ston to Dubrovnik. a series of bays with tourist towns stretches along the coastline of the Dubrovnik area. The seaside resort of Trsteno should be pointed out because of its unique arboretum and a Renaissance park both declared monuments of park culture. South-east from Dubrovnik. toward Boka Kotorska and surrounding the Zupska Bay. lies another interesting area called Zupa Dubrovacka. A line of pleasant tourist towns, including the renowned village of Cavtat, stretches along the coast of the large bay. The Croatian part of the seaboard ends with the fertile lands of the agricultural area of Konavle. 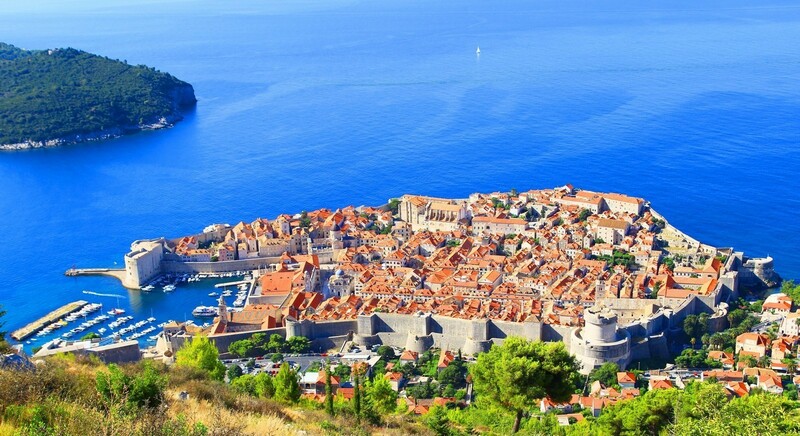 The largest tourist city of Dubrovnik is the central sight of not only Southern Dalmatia but the entire eastern Adriatic coast. Its beginnings date back to the 7th century. Over time, the city's influence and might expanded across the entire Southern Dalmatia. 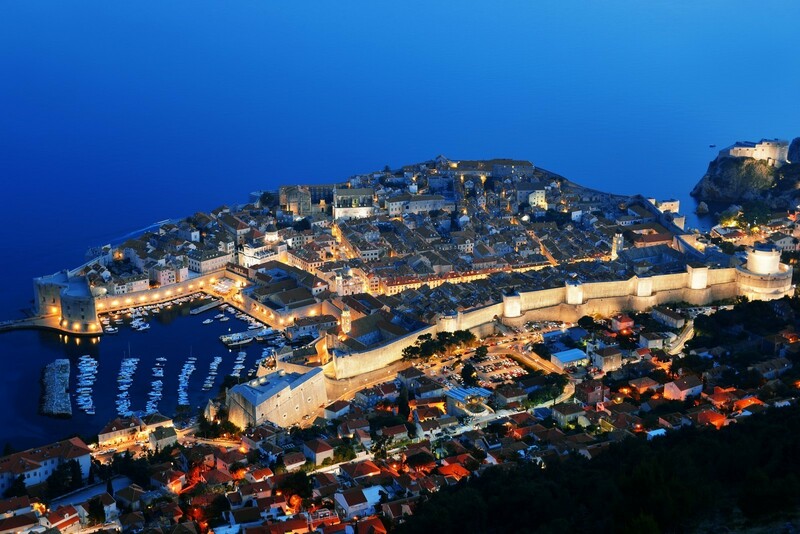 Thus the independent aristocratic Republic of Dubrovnik was created. The city itself developed into an advanced urban, maritime and commercial centre with fame comparable to that of Venice in the North. In 1667, a violent earthquake - demolishing 70% of the town and killing 80% of the population - stopped its further development. Trading routes began to change and new ports - closer to Central Europe - were being built in Northern Adriatic. The city was losing its commercial dominance. By the end of the 19th century though, tourism started to develop. 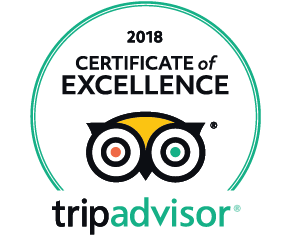 In the 20th century, thanks to its pleasant climate, picturesque sights, architectural and cultural treasures within the well preserved old town, enclosed by walls and sturdy fortresses, the city became the tourist capital of Croatia and one of the most famous historical towns in the world. In 1979, the old city was added to the UNESCO World Heritage List. The long, narrow and mountainous Peljesac Peninsula is more similar to an island, since it is linked to the land by only a 1,300 m wide strip of land. There are several small villages on the island, mostly along its middle part. 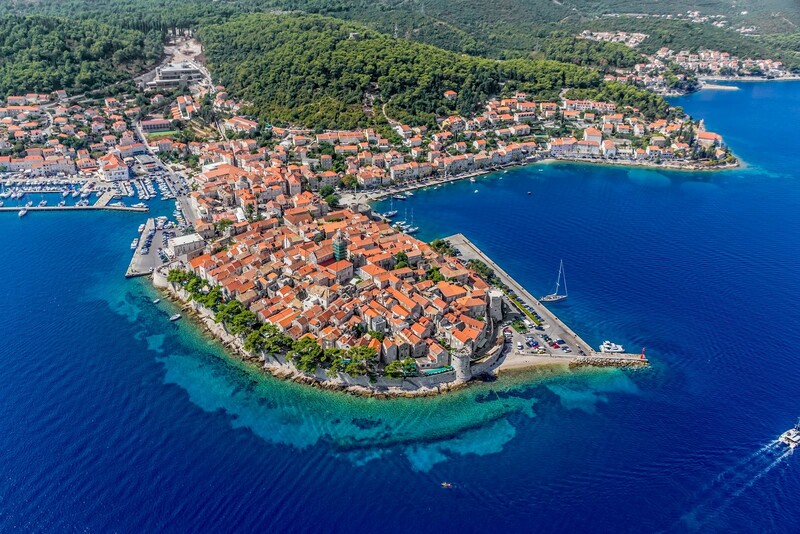 Orebic, the largest settlement - the area's tourist centre and once a notable port for ocean sailboats - lies on the southern part of the peninsula. Grape growing is one of the main economic activities in the area with vineyards on the southern slopes of the peninsula, where the famous wine called 'dingac' is made. The main village on the northern shore of the peninsula is Trpanj, connected to Ploce by a ferry link. Navigation is particularly demanding in the channel of Mali Ston, due to fast changes on the sea surface. The 'bora' can also grow strong in these areas. 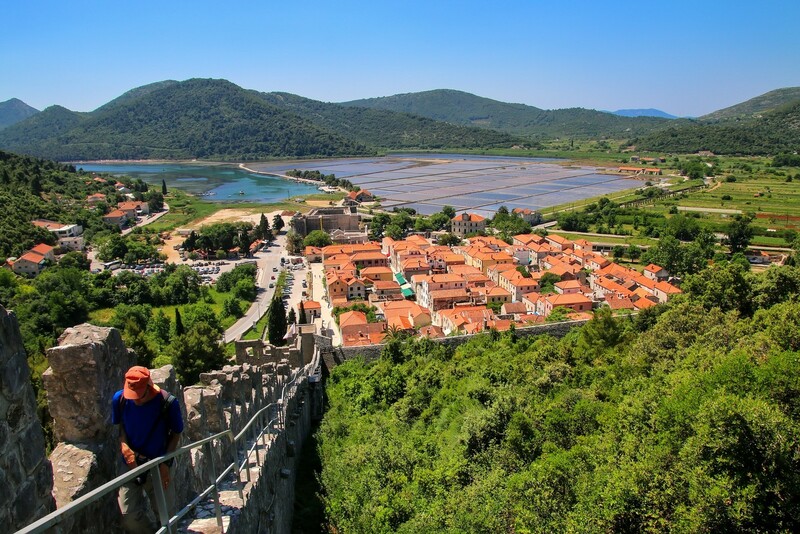 A traditional centre in the south-eastern part of the peninsula is the town of Ston with a 1,000 m walls, connected to the neighbouring Mali Ston by a 4.5 km defence system that was protecting the salt-works in the period of the Republic of Dubrovnik. 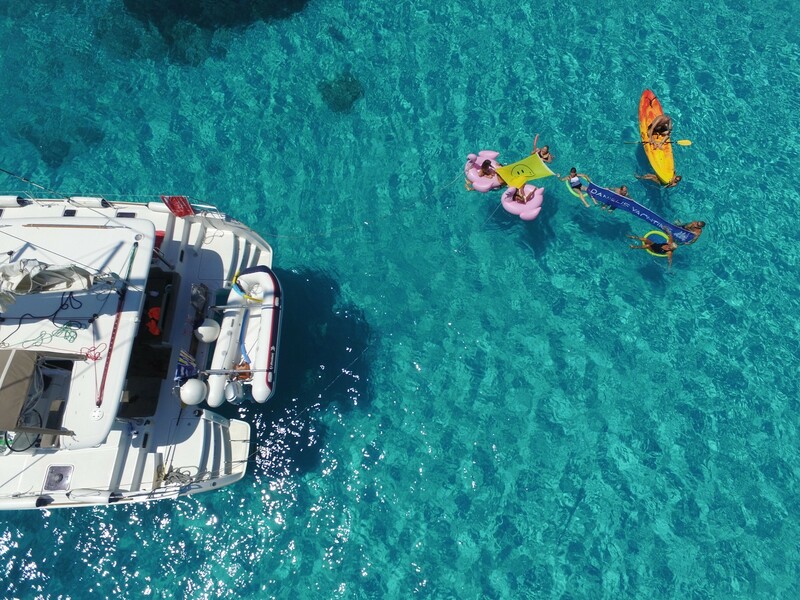 The island of Korcula is the most densely populated island in the Adriatic and one of the favourite sailing destinations. 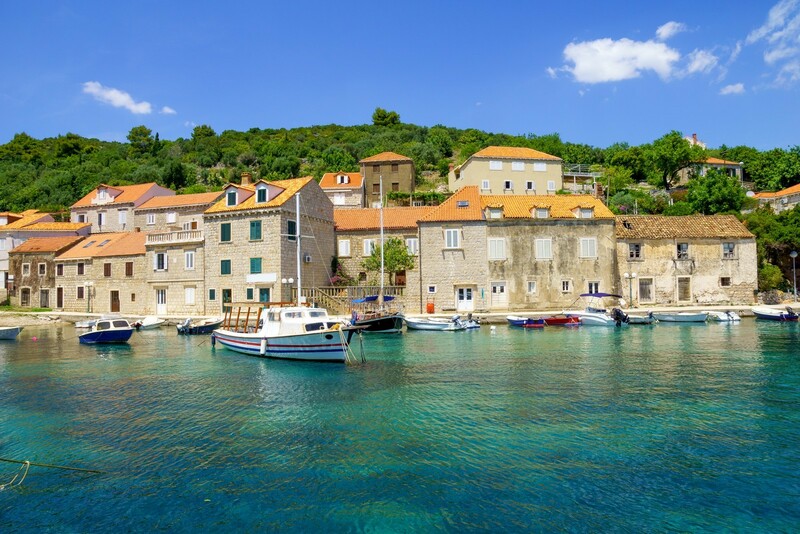 The only real urban centre on the island is the town of Korcula, although the villages of Blato and Bela Luka have developed into larger towns. 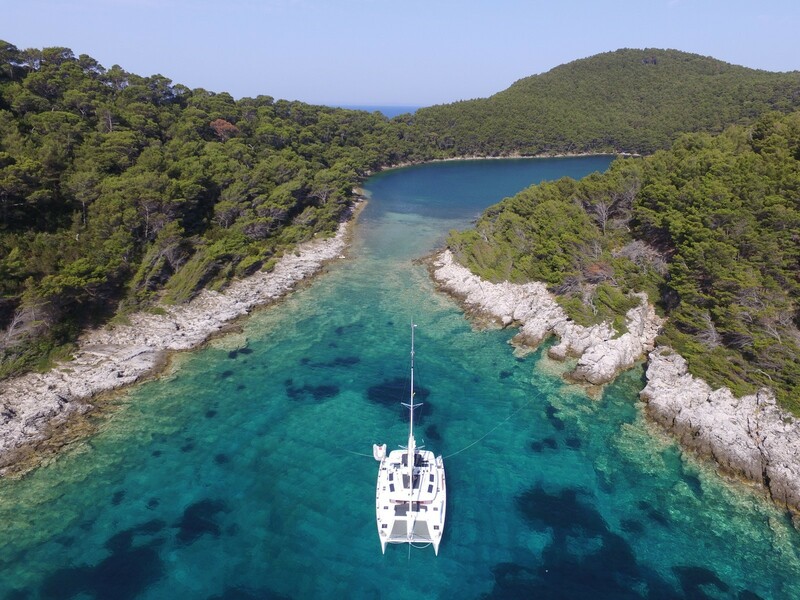 Mljet is a wooded island. There are forests of unique beauty in the island's western part, which has been declared a national park. 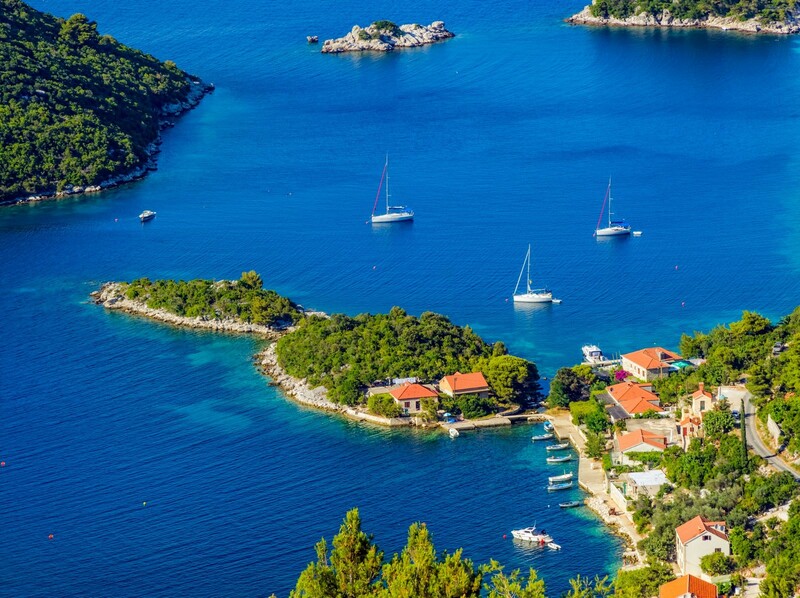 The island of Lastovo, with its uneven coastline and lovely beaches, lies far in the open sea. After World War II. the island was closed to tourists. Further, the Elaphite Islands - a group of tiny islands and rocks - lie between Peljesac and Dubrovnik. The islands of Sipan. Lopud and Kolocep are inhabited.